Detective Pikachu is on the Case (and Menu)! Although sushi might be the first thing that comes to mind when thinking about Japanese food, it's actually an irregular part of the Japanese diet. The following five foods are consumed far more frequently. Have you tried them all? 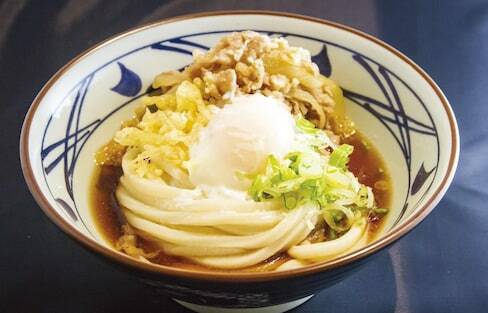 With branches in fourteen regions, udon purveyor Marugame Seimen reveals their globalization tactics and localized menus, as well as the many reasons for the popularity of these noodles outside of Japan. 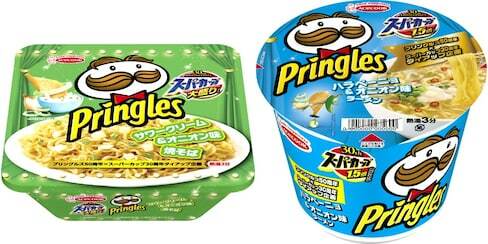 Two iconic brands join forces for the first-ever crossover promotion featuring both Pringles-flavored ramen and ramen-flavored Pringles! Experience a Little Okinawa in Tokyo! Looking for a taste of Okinawa without the expensive airfare? Well look no further—Okinawa Town can be found in Tokyo, just two stops from Shinjuku! Ramen has gained a legendary culinary status worldwide, and we're here to help you understand why. So let's learn all about ramen! Instagrammable Sushi... Made with Meat?! Traditional sushi is famous for featuring fresh, raw fish. However meat sushi is now available at popular conveyor belt sushi chains across Japan! The popular American burger chain is opening a location in Kyoto, and new menu items will make use of Kyoto's high-quality Uji matcha! 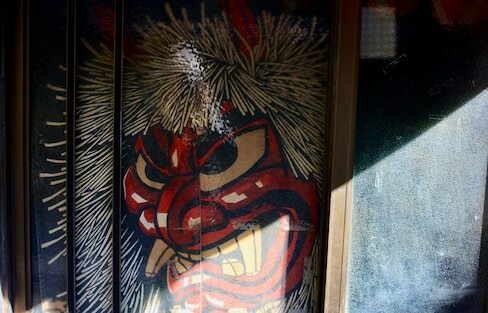 Tokyo's 'yokocho' alleyways offer some of the best nightlife experiences in the city. If you're looking for some down-to-earth drinking dens, we've got five that are ideal for an evening of bar hopping. Yoyogi Park is one of the largest and most popular of Tokyo's green spaces, and is a hotspot for events that celebrate culture from Japan and around the globe. Here's a quick guide on the various cross-cultural celebrations in Yoyogi over a year. Australian native Daniel Bacon manages several successful businesses in Hakuba Village, Nagano Prefecture, and a founding partner of Hakuba Brewing Company, a craft beer brewery based in the same area. What does it take to attract international tourists? From incredible views of Mount Fuji to a museum that feels like it's right out of a mummy movie, these fantastic spots are less than 2 hours from Tokyo, which means they're the perfect way to spend a day when you want to get out of the city! Home to some of the best green tea and one of the most recognizable temples in Japan, Uji is a destination that shouldn't be missed if you're exploring Kyoto and the rest of the Kansai area! Tonkatsu—the breaded, deep-fried pork cutlet so popular with the masses—was originally one of many Japanese twists on Western recipes imported to Japan. Learn the history of tonkatsu according to the first restaurant in Japan to put the dish on its menu. One Japanese artist is creating treats that are feasts for the eyes and the tastebuds, using fresh fish from the Seto Inland Sea. Pokémon Happy Meals — Catch 'Em All! Starting July, 2018, awesome Pikachu and Eevee boxes and goodies will have Pokémon fans of all ages flocking to McDonald's to catch 'em all! Rokumon is a sightseeing train run by the Shinano Railway that puts you in touch with the Shinshu region’s culture and cuisine. Take a ride and spend a leisurely time enjoying stunning scenery and delicious dishes. 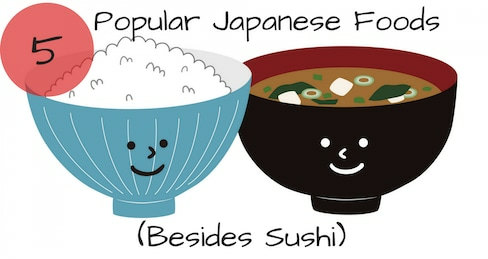 If all you know is ramen or sushi, you're missing out on A LOT! Broaden your horizons by familiarizing yourself with these typical Japanese dishes, that way you can make the most of your time in Japan. The Next Big Food to Hop onto Japanese Menus? Is one researcher's search for a sustainable food source for the future the next big food craze in Japan, or is the idea hopping mad? Although Hokkaido is a popular destination for international visitors to Japan, this video highlights Kushiro, a hidden gem that offers pristine nature, decadent local food and regional cultural experiences you won't find anywhere else! Although tea has always been a big deal in Japan, recently there's been a boom of new ways to enjoy it. Here are some new, modern shops in Tokyo that specialize in Japanese Tea! You have questions, and we have answers! Learn all about how to travel, live and have fun in the Land of the Rising Sun. Everything you need to know about soaking it up in the Land of the Rising Sun!